It’s that time of year again… the time of year you reflect on what you have achieved in 12 months and what you want to achieve in the New Year. You learned how to read and write by learning the first few letters of the alphabet, things were added bit by bit, you learned 3 letter words, 4 letter words, and then on… all from a few gargled da da da or ma ma ma’s. We learned how to ride bikes with little sit-ons with no balance required, then onto a bike with stabilisers… perhaps even a balance bike after that and then someone holding onto the back of your seat and simply letting go and telling you to pedal! Ross is currently on with his eldest doing this one, he’s yet to remove his stabilisers but he has a fear of failure and so won’t take them off, are we already as parents showing our kids this “fear of failure” so that they become too scared to even try?? Are we hindering their development by going against all that we know from a development perspective ourselves and just going balls out then crumbling under the pressure?? 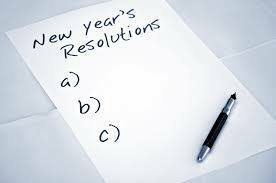 When you think about your resolutions for the year try going back to basics… think of what you really want to achieve and then break it down over the 12 month period… for example you want to lose 2 stone… break that into months… that’s just over 2lbs a month… if you aim for this you just change your nutrition bit by bit, introduce more veg, more water, aim to understand just a fraction of nutritional knowledge at a time and then build on it, you increase your activity levels whether that be going to a class 3 times a week or just going for a few walks. If you aim for the 2 stone (without a set timescale) you’ll tell yourself at the end of January when you’re eating 1000kcals a day and training 7 days a week that you simply can’t do it, you can’t sustain it… so you give up… you fail… you show your kids that no matter the fact you’ve worked so so hard, that’s it’s OK to give up… why? I’m not saying don’t set yourself big goals… I’m all for big goals, but I’ll set myself Small Attainable Targets that once I’ve seen out 12 months will take me to where I want to be… Go get yourself a calendar… in big bold letters write out your resolutions, then break them down into the months of the year in a realistic way and then smash it!!! Show your kids that if they keep trying and setting themselves goals bit by bit, they can do anything and be anything they want to be… they won’t wake up tomorrow a Doctor/Athlete but bit by bit if they learn new skills and work on them they can do it!!! ← What a Year 2015 Has Been!! !